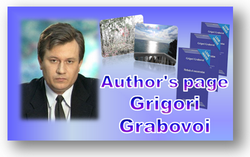 Author`s works of Grabovoi G.P. EHL Development Kft. 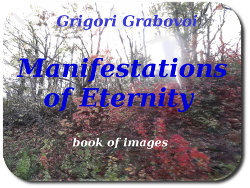 announces the start of training on “Introductory course of educational “PROGRAM OF TRAINING THE TEACHINGS OF GRIGORI GRABOVOI”", approved by Grigori Grabovoi in 2006 and supplemented by him. Upon completion of the course, students receive a Certificate – evidence of attending Introductory course of educational “PROGRAM OF TRAINING THE TEACHINGS OF GRIGORI GRABOVOI” and will be able to accurately transfer the acquired knowledge. In cases of delivery of activities (lectures, seminars and other events mass character), listeners must in accordance with the requirements of the licensing legislation have a sublicensed contract with a legal entity, such as “EHL Development Kft.”, having the license to promote the Teachings of Grigori Grabovoi. Group seats are limited! Book your seat in advance!!! We also accept applications from organizers wishing to present the “Introductory course of educational “PROGRAM OF TRAINING THE TEACHINGS OF GRIGORI GRABOVOI”" in his/her country: submit an application . Plan of the “Introductory course of educational “PROGRAM OF TRAINING THE TEACHINGS OF GRIGORI GRABOVOI”". 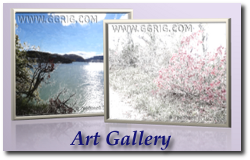 Schedule “Introductory course of educational “PROGRAM OF TRAINING THE TEACHINGS OF GRIGORI GRABOVOI”"